Make a difference, gain valuable experience, and spend your summer in beautiful natural settings. The Howard County Conservancy is a non-profit environmental education center with two locations in Howard County, MD. Our mission is to educate children and adults about the natural world, preserve the land and its legacy and model responsible stewardship of the environment. The Conservancy offers full-day nature camps in one week sessions. 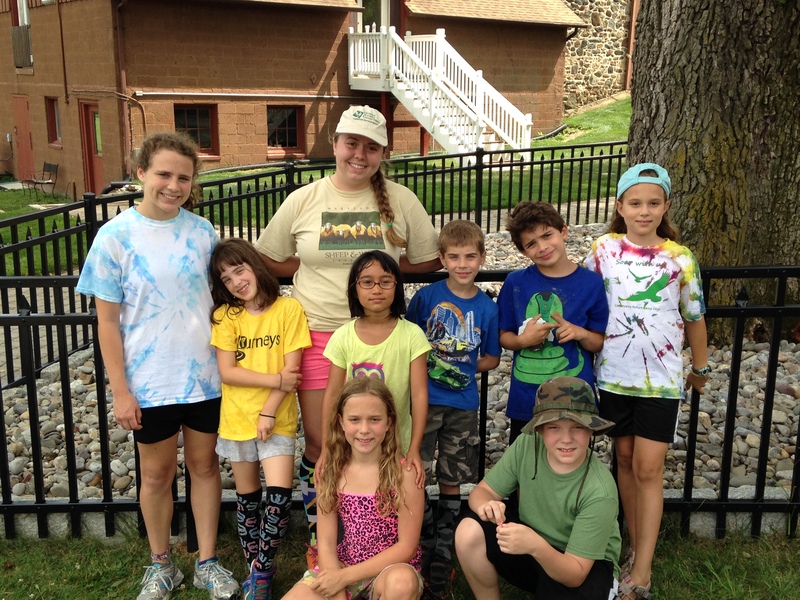 Our nature camp encourages children to learn about Howard County’s ecology through hikes, experiments and hands-on exploration. Our camps are located in Woodstock on our 232-acre nature center and at the Belmont in Elkridge, surrounded by Patapsco Valley State Park. Summer Camp Counselors gain the opportunity for personal and professional growth by joining our camp team. The camp staff team plans, prepares and runs environmental education lessons, as well as planning for free play, arts and outdoor games. The camp team will meet twice weekly or daily as needed to schedule the camp day and check in on personal and professional goals. Attend a mandatory week-long professional training (June 17-21). Work with other counselors to plan and schedule camp lessons. Follow approved lesson plans to implement quality activities for campers. Manage day to day safety, wellness and behaviors. Daily positive Interaction with parents; address concerns with Directors as needed. Be an upbeat, energetic, focused member of the staff team. Interested in exploring the world of Informal Education, where nature, games, and STEM collide? Join us as an Environmental Education Intern to gain experience with Summer Nature Camps, Elementary Education program development, and leadership through public and private programs. Work with our Education Team to personalize your internship, maximizing your learning potential. Up to 15 Credit Hours may be received for Conservancy Internships. *Positions available: 2019 Winter, Spring, Summer Internships. Environmental Education Intern applicants are invited to apply for positions up to 3 seasons in advance. Dates are flexible. Conservation Interns gain experience in evaluating habitats for native species, planting and maintaining native gardens, and evaluating conservation easements. Interns will work with the Land Manager and Grounds and Gardens committees to plan, prepare and implement projects with groups of volunteers. Training is provided. Work with our Education Team to personalize your internship, maximizing your learning potential. Up to 15 Credit Hours may be received for Conservancy Internships. Junior Staff members gain leadership skills, practice effective communication, and learn about team building, behavior management, health and safety, and more. Throughout the summer, Junior Staff members utilize their talents and abilities to make a positive and unforgettable contribution to the campers. Training is provided (June 2, 2019). Assistant Counselors ages 16-18. Registration fees are waived. Junior Staff are invited to apply online.